Heckler and Koch is a gun manufacturer known for making a wide variety of guns ranging from pistols to automatic weapons. However, Heckler and Koch have also branded a knife line under Benchmade. 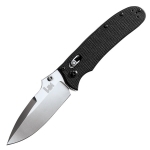 HK Knives are tactical in nature, with many assisted and automatic offerings. They consist of mostly folding knives with some fixed blades. 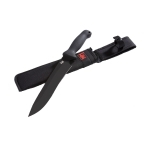 Below is a chart showing the best Heckler and Koch knives on the site as reviewed by multiple users. Keep in mind that there are many great Heckler and Koch knives out there, but if you can't decide on one after searching the site, choose one off this list and we are confident that you will be happy!